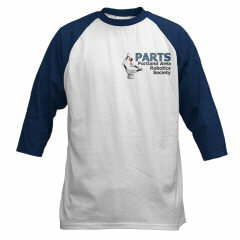 We have a nice selection of PARTS approved products that are available for you to purchase. Thanks to Lemon Studios we have an awesome PDXBOT.05 DVD available. You can also purchase videos from previous years, PDXBOT.03 and PDXBOT.04 DVD's are both available. A portion of the sales of these DVD's comes back to PARTS so buy a bunch of them! !